A national Skill development policy was launched in 2009 with the aim of skilling 500 million youth by 2022. Under the national plan, the Punjab state aims to skill over 2 lakh youth in Punjab. 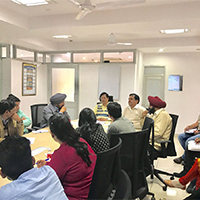 To achieve this noble goal and provide employable skills to youth of Punjab state, the Punjab Skill Development Mission has been constituted in line with National Skill Development Policy. The Governor of Punjab though its notification dated 2nd September, 2014 has constituted Punjab Skill Development Mission. The Mission would be a single point of contact within the Government to formulate and steer skill development schemes across the Department. PSDM acts as an integrated mission which combines the efforts of various State Departments in achieving the skill development target of the State. 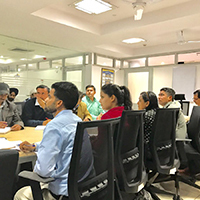 The primary objective of Punjab Skill Development Mission is to enable a large number of youth to take up industry-relevant skill training that will improve their theoretical as well as practical knowledge and help them in securing a better livelihood by bringing necessary synergy, oversight and effective coordination. Punjab Skill Development Mission is bridging the gap between the skilled people required in Industry and the unemployed youth by ensuring that the right candidate with passion for a particular job chooses the right course according to his/her academic background, aptitude and skill-set.The primary objective of Punjab Skill Development Mission is to enable a large number of youth to take up industry-relevant skill training that will improve their theoretical as well as practical knowledge and help them in securing a better livelihood by bringing necessary synergy, oversight and effective coordination. 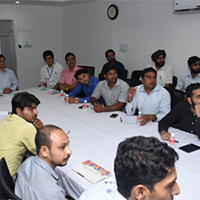 Punjab Skill Development Mission is bridging the gap between the skilled people required in Industry and the unemployed youth by ensuring that the right candidate with passion for a particular job chooses the right course according to his/her academic background, aptitude and skill-set. 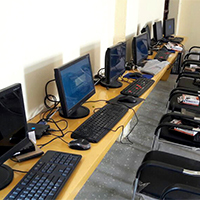 Punjab Skill Development Mission has been providing free skill development training to the youth across all the Districts of Punjab both in the urban and rural areas. 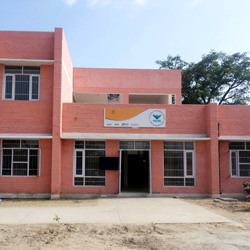 Punjab Skill Development Mission has been providing free skill development training to the youth across all the Districts of Punjab both in the urban and rural areas.